Rebecca has started a collaboration with English traditional guitarist John Steele. They have to date created two intricate albums of songs, the first named ISLET, and the second album named WITH THE NIGHT FAST APPROACHING, featuring carefully chosen songs from both sides of the Atlantic. John Steele is from Northumberland and his playing grew from being deeply immersed in the traditional finger picking styles of folk revival England. Both their albums are rendered with detail, focus, presenting traditional storytelling songs from the cultures of England, French & English Canada, France, Scotland and Ireland. 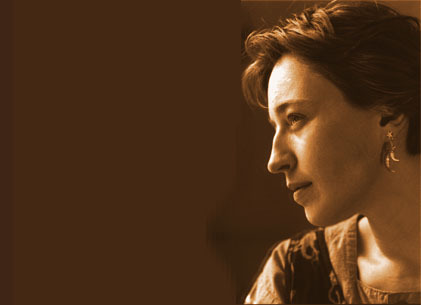 The CD CINNABAR, Rebecca's recent album released in June 2010, gathered a nomination by the Canadian Folk Music Awards in the category of Best Traditional Singer. Rebecca created the album collaborating with fifteen superb guest traditional musicians, friends from other band or dance projects. 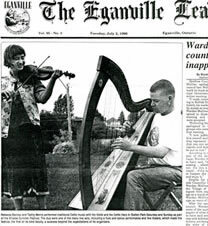 CINNABAR is a spin-off from the Rebecca Barclay Band. 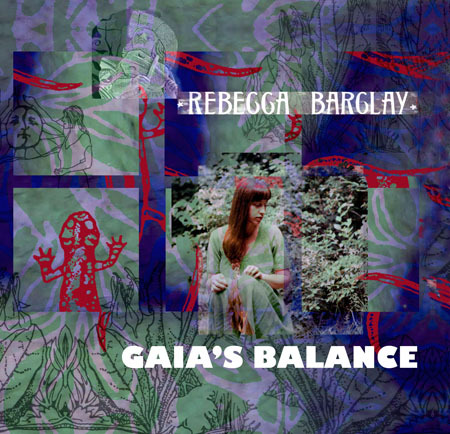 This CD continues Rebecca's interweaving of rhythmic roots instruments focused on traditional story telling songs. With CINNABAR Rebecca takes risks in developing the sound. On one song she starts with Iranian traditional percussive hand clapping and bagpipes leading to a rapid fire French Canadian foot percussion that drives the beat, called l'accord du pieds, with a clear traditional vocal and rambunctious driven guitar. On another song, she structured a song first heard sung by Joan Baez, a collected Child Ballad that she had found again at Cecil Sharp House, with African style percussive vocals that add to the emotive power of the tale. This was inspired from a workshop series she attended with South African traditional singer Lizzie Mahache, exploring the rythmic traditional four part harmony styles. Lizzie's course was one of many put on by at the Worlds of Music outfit that celebrates the diversity of local musicians and nationalities living in Toronto, Rebecca's hometown. Another song is a UK collaboration with esteemed Northumbrian fiddler Nichol Caisley and intricate Durham guitarist John Steele. The song versions on this new album to reflect a multicultural meeting ground, presented by talented traditional musicians of the sort you may find playing together on any given day, in cities like Toronto or London. her study of traditional songs. 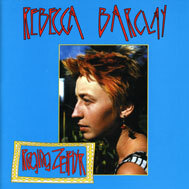 "One of several unique songs on Rebecca’s CD RAGING ZEPHYR combines a split-voiced tuba, highland bagpipes, saxophone and amazing vocal leaps with a 220 year old song, Woman of this Glen... with such creative musicians as Corey Manders on jazz saxophone and Colin Couch on tuba play joyful textures in the weaving of an unusual sound... listeners are drawn into Rebecca’s restless passion through her full ranging vocals, whether singing acapella or backed by a full band… using carefully chosen and original lyrics, she treats difficult subjects with courage, precision, and vibrant emotion..." says Steve Rowat, of Thought Transfer Music. GAIA’S BALANCE is an album of mostly original song-writing described as gentle and other-worldly, yet a daring canvas with occasional celtic and jazz overtones. Here in you can clearly see Rebecca's caring and passion for the natural world and the fragile human spirit. Included in the guest musicians, were Montreal’s Peruvian player Pepe Medoza on pan flutes (antara & kena) and Toronto’s Corey Manders, then a student of Mike Murley, playing saxophone. You will find Rebecca’s unique signature on the choice of matching musicians together for the production of her albums. Her fearless and dedicated work as a musical seamstress, with a deep commitment to the older human stories, has earned her a place at the forefront of Canada’s new generation of traditional musicians.